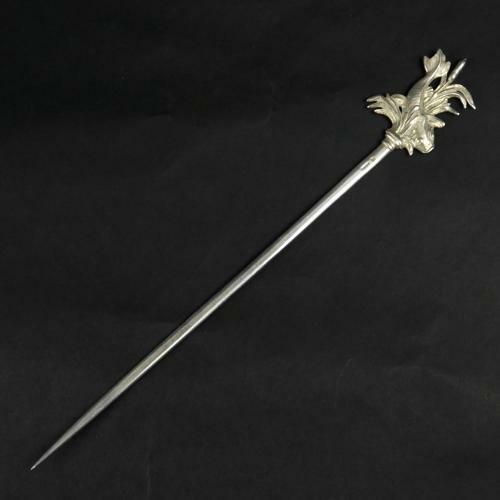 An unusual, French, silver plated hatelet skewer. This piece is marked, at the top of the skewer, 'CHRISTOFLE', and it dates from c.1880. It also has a small, impressed company mark in a shape which resembles a Celtic design. This is, however, quite difficult to make out as the mark is very small. The ornate end of the skewer is in the shape of a fish amongst bullrushes. This is a good quality skewer and it is in excellent condition.